As you entered into the new year, perhaps you set a resolution to get more active and improve your physical fitness. The problem is, you’re not a gym nut — actually far from it, as the very thought of going to your standard 24-hour gym makes you cringe. The good news is there are plenty of other ways to get active and in better shape outside of going to the gym. And no, you don’t have to pay to go backpacking mountains through Europe either. 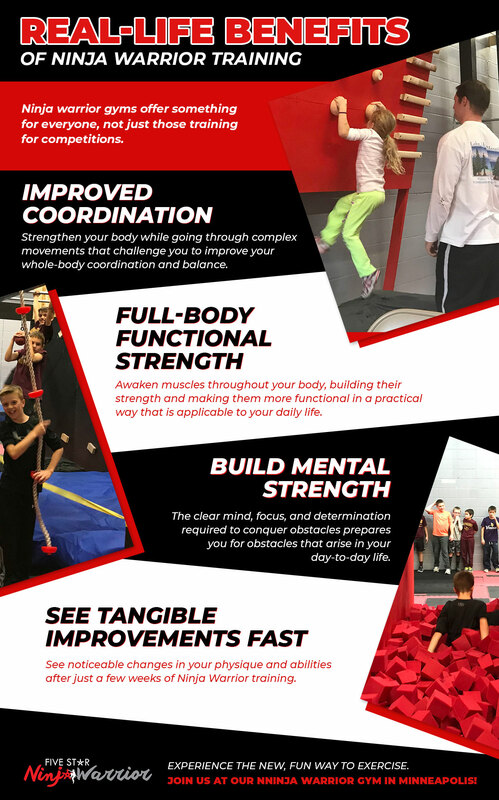 Simply take a trip to your local ninja warrior gym and see how ninja warrior training provides an exciting new way to stay active and improve your physical capabilities in a multitude of ways. 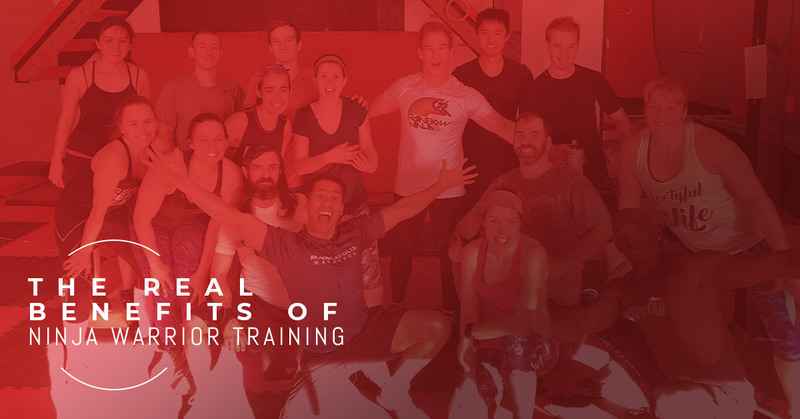 Here at our ninja warrior gym in Minneapolis, we have compiled a list of some of the most common benefits our members see from participating in our ninja warrior training, whether they’re training for a competition or simply enjoy it as an active hobby. This is one thing simply lifting weights in the gym certainly won’t provide you with. With ninja warrior training, you strengthen your body while going through complex, almost acrobatic movements that challenge you to improve your whole-body coordination and balance. Just as many people participate in yoga or CrossFit to build full-body strength, you can receive the same benefits from ninja warrior training, only on a much higher level. Total body exercises are great because they equip your body to handle a variety of tasks, rather than focusing on one area of muscles or strengthening yourself in order to perform one specific physical activity. When participating in ninja warrior training, you awaken muscles throughout your body, building their strength and making them more functional in a practical way that can be applicable to your daily life. When you’re going up against something as daunting and challenging as a ninja warrior obstacle course, you need all of the focus and determination possible. Undergoing this sort of mental preparation prior to tackling an obstacle course, as well as the mental test you endure while completing an obstacle course race, can help you in many other areas of life. Successfully completing ninja warrior training and obstacle course races teaches you to clear your mind and enter a “flow state,” where you are able to fully live in the moment and react accordingly to your surroundings. This improves your mental strength across the board for challenging the obstacles that enter your path in your daily life. Not only does ninja warrior training provide you with visually noticeable improvements in your physique, but you will also quickly see tangible improvements in your physical abilities. Whether it’s climbing obstacles you never dreamed possible, jumping higher, or moving faster, you are sure to feel like a superhero after just a few weeks of ninja warrior training. Want to experience all these benefits for yourself? Sign up for a class today or attend our open gym to get started with your ninja warrior training in Minneapolis today!